The 76ers defeated the Mavericks, 106-100 tonight in Philadelphia. Joel Embiid led the 76ers with a game-high 25 points (7-17 FG), 12 rebounds and 5 assists, as Ben Simmons recorded his 6th triple-double of the season (18th of his career) with 20 points, 14 rebounds and 11 assists in the game. 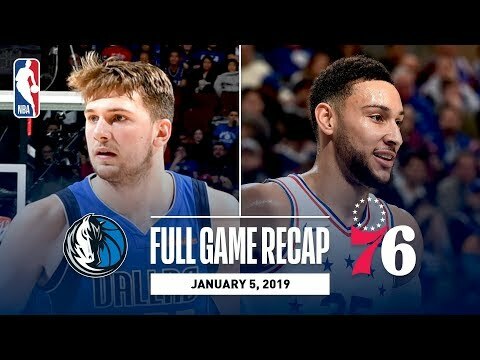 Luka Doncic recorded 14 points (4-16 FG), 8 rebounds and 4 assists for the Mavericks, as Wesley Matthews added a team-high 18 points (7-11 FG) in the losing effort. With the win the 76ers improve to 26-14, while the Mavericks fall to 18-21 on the season.